We’re back with another release for our flagship WordPress marijuana theme, CannaBiz, and it’s full of great enhancements! 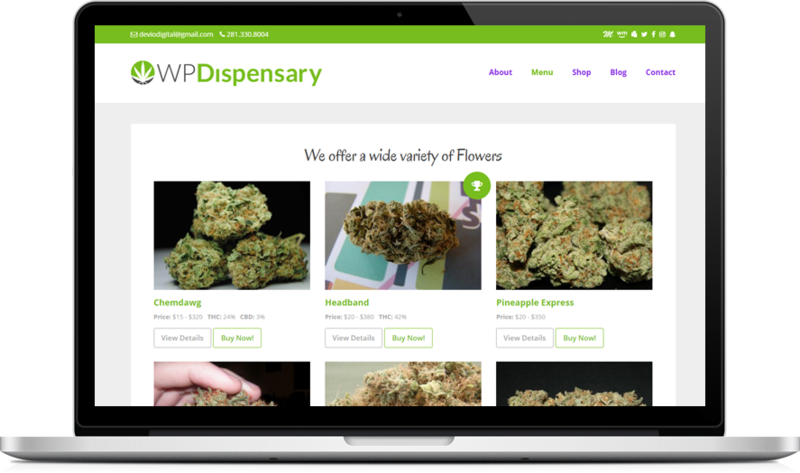 In CannaBiz version 1.8 we’ve added in CSS to further customize the look of WooCommerce. 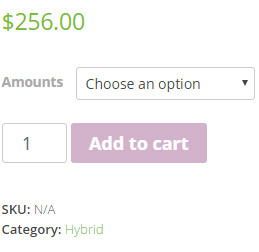 Most notably is the style updates on the product pages, where the weight amount, add to cart button, Category, Tags and SKU number gets displayed. Previously, the size and style would get inherited from the main theme style, but this release has now downsized the fonts and changed up the colors/weight to better match the theme. We’ve also added in CSS to fix an issue with the logo, where it would stretch outside of the screen on mobile browsers. It will now auto-adjust it’s width based on the browser window, including mobile sizes. Beyond the CSS changes, this release adds in a new style option in the Customizer to let you make your header transparent. You can see an example of this in action by viewing the Treehouse Cannabis website, who made use of our Setup Service. If you’d like to utilize the transparent header, you can find that option in your WordPress dashboard under Appearance -> Customize -> Header. With version 1.8, we’re introducing a new filter in the footer copyright area. This was added in for developers who would like to add their own link to the footer area, without using the built in Copyright input in the Customizer. By adding this filter code to your child theme’s functions.php file, you can add text (example: a link to your website) that gets displayed at the end of the copyright message in the footer of your client’s website. 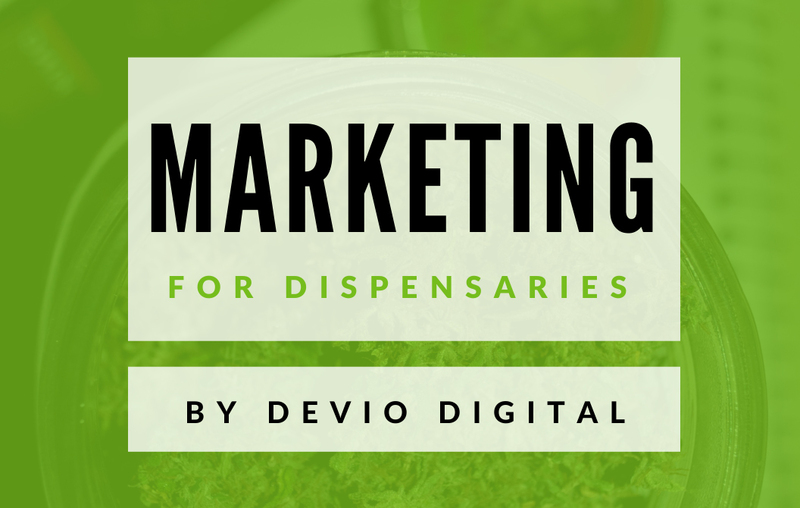 We’re also working to make sure you can tap into various areas throughout CannaBiz and add your own content in, and for this we’ve added in 4 new action hooks. With these, you’re able to add in your own code to the areas that the action hooks are run. For instance, if you’d like to add a search box into the header, displayed under the navigation, you can add in the following code. We’re working on additional action hooks, so developers will be able to add in custom code throughout the entire site, not just in these header areas. If you haven’t purchased your copy of CannaBiz yet, what are you waiting for? Head over to the CannaBiz product page and grab your copy now.